Here's to the adventure of finding a novel novel! I’m so sorry I’ve been such a slacker! Between our wedding/honeymoon trip to Montana, our wedding reception and returning to work I’ve been completely swamped! Luckily, I’m getting back into the swing of things and have started reading pretty heavily again. When Stephanie’s friend Emily asks her to pick up her son from school, Stephanie thinks nothing of it and if anything, is honored to be trusted by someone as intriguing as Emily. But when Emily doesn’t pick up her child, Stephanie starts to become panicked. She knows that Stephanie’s husband is out of the country and doesn’t want to over react but is at her wits end after a few days of Emily not contacting her back. What happened to her friend? The mysterious Emily loves her son dearly and would never abandon him. But as time passes Stephanie realizes she may not know her “friend” at all. 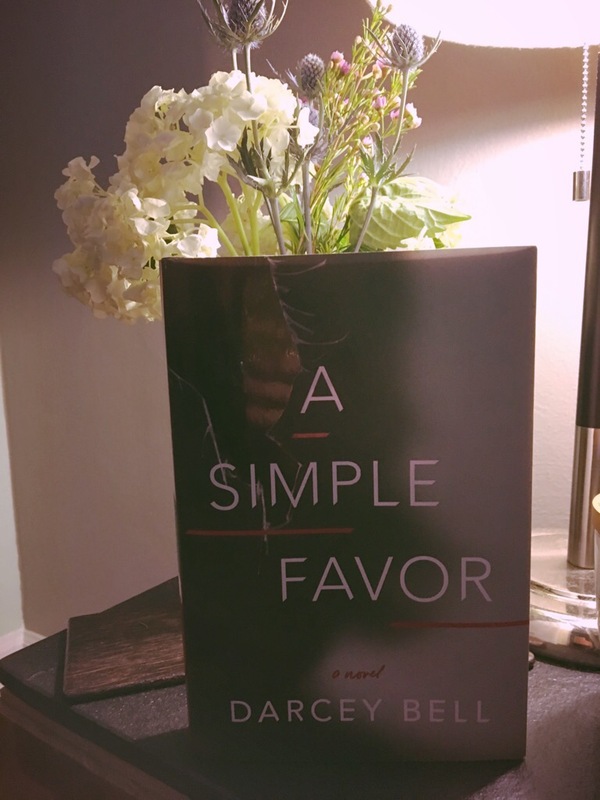 A Simple Favor is 298 pages long and took me three days to read. I am rating this book a 2.5 out of 5. While I enjoyed reading this novel it had very heavy elements of Gone Girl and while I loved Gone Girl to pieces, it bothers me when books rely so heavily on this hook. I would recommend reading it but beware of very similar themes. Here’s to the adventure of finding a novel novel!